Dive in with Freestyle! 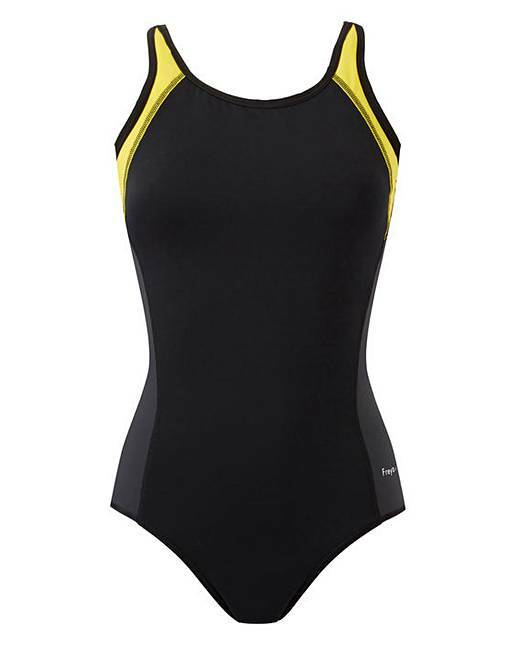 Whether you're making waves in the lap lane or surfing them at the beach, the Freya Active Freestyle Swimsuit has a scooped open back styling which amplifies your ease of movement in the water. Freestyle also features a built-in fabric moulded cup for a smooth rounded shape plus hidden underwire for extra support. 77% Polyamide, 18% Elastane, 5% Polyester.